WBJEE 2017 Application Form: The West Bengal Joint Entrance Examination Board was recently release the WBJEE 2017 notification to their official website (wbjeeb.nic.in). The people who looking to join UG courses in Engineering & Technology, Architecture and Pharmacy in Universities, Government colleges or self financed institutes in WB state, are advised to apply WBJEE 2017. For further recent updates about WBJEE, keep touch with us. This WBJEE entrance examinations is mainly conducted for the admission of UG courses in various streams. The students those who completed 10+2 in the academic year of 2017 can apply for WBJEE 2017. Every year lot of people's are participated in West Bengal Joint Entrance Examination (WBJEE). If you want to know the more details about WBJEE like age limit, eligibility criteria, starting & ending date of application form, exam date, exam pattern, then visit our examlevel site. Before going to apply for WBJEE 2017, you have to know the eligibility criteria. Its fully vary for engineering & medical courses. To know the complete information about eligibility criteria just refer the official notification from the wbjeeb.nic.in portal. Citizenship: The aspirants must be in Citizen of India. Engineering & Tech, Pharmacy and Architecture Courses: The Candidates lower age limit should be 17 years. There is no upper age limit. Marine Engineering: The applicant lower age limit must be 17 years and the upper age limit should be 25 years of age as on 31.07.2017. The aspirants who successfully completed the higher secondary/ 10+2 with required percentage from the recognized board, can eligible to apply for the WBJEE 2017. The WBJEE Exam 2017 will be organized in two sittings such as Medical and Non-Medical which will be conducted on 3rd week of May 2017. The examination board followed the e-Counselling Process for B.Tech/ B.Arch/ B.Pharm Course. The Subjects as per the following schedule is given below. If you want to take WBJEE admission in Medical Courses, then you will have to write the PCB and PCM exam for further approach. * The applicants need to download the e-challan from the official website and pay the counselling fee of Rs. 506/-. After successful paid, the aspirants need to enter the transaction number, branch name, branch code, date of deposit to the WBJEE Application Form 2017. The online registration for above methods has only allowed for 1st round of counselling. They are not allowed the fresh registration for 2nd and 3rd round of counselling. The interested & eligible students need to logon the official WBJEE site (wbjeeb.nic.in). Then find & click the link called 'WBJEE 2017'. 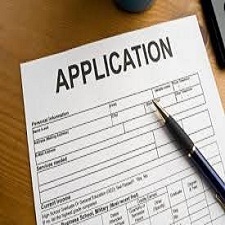 Next fill the application form with your valid details (Personal, Academic, Email, Phone and etc). Pay the WBJEE counselling fee of Rs. 506/- by downloading e-Challan. The aspirants those who registered online & made payment of counselling fee and also entered payment details are eligible for choice filling. Kolkata, West Bengal -700 091.